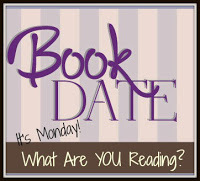 Book By Book: It's Monday 11/5! What Are You Reading? Another dark and rainy day here, and I am STILL not feeling well - going on four weeks now and really getting sick of it! Reminding me of the early days of my immune disorder, but these kind of lengthy "crashes" are rare now, with all the treatments I have found. Supposed to be visiting my mom this week, for a long-planned trip and going to the theater, so fingers crossed things improve...fast. I finished Fifty Mice by Daniel Pyne, a thriller set on Catalina Island in California. A man is forcibly brought into the Witness Protection Program but has no idea what he is supposed to know or have seen. It's an intriguing concept and a gripping story with lots of twists and turns and a good sense of humor, too. I really enjoyed it - you can read my review at the link. I also finished a middle-grade graphic novel, The Unsinkable Walker Bean by Aaron Renier. It's an engaging, colorful, spooky fantasy featuring pirates and sea creatures so was also a good fit for the RIP Challenge. Shifting gears to nonfiction, I quickly blew through two graphic memoirs/nonfiction that I received for review for Shelf Awareness. First, I read the memoir Flawed by Andrea Dorfman, a sweet story about how the author came to accept herself - and her flaws - while falling in love with a plastic surgeon. In an interesting twist, this story was first a film and was then turned into a book. My next graphic nonfiction book was of a totally different type: Escaping Wars and Waves by Olivier Kugler, a moving and powerful reporting from 5 different refugee camps and relocation spots for Syrian refugees. The author traveled to all of these places and interviewed people, and the book includes both his interviews, with verbatim quotes from Syrian refugees, as well as his life-like drawings of the people and places, based on photos he took at the time. The result is a haunting and heartbreaking up-close picture of the plight of Syrian refugees all over the world. By November 2, I was already onto my third nonfiction book. Sick days mean more reading time. I started Seven: In the Lane of Hope, an inspirational memoir written by Michael J. Marini, who is my massage therapist! He and I often talk about writing while he is working the knots out of my back and shoulders, and I was thrilled to hear his book had just been published. It's about his remarkable family of 13 and particularly his seven sisters. Poignant, moving, and funny, I'm really enjoying it so far - about halfway through. On audio, I just this morning finished How to Hang a Witch by Adriana Mather (yes, of those Mathers). This teen/YA novel combines modern teen problems of starting at a new school and bullying with history of the Salem Witch Trials. Samantha Mather, descended from the infamous Cotton Mather, moves to Salem and discovers that history is still entirely relevant to the people in town, as teen descendants of the original witches hung in Salem make life a nightmare for her. This one included witches and a ghost, so it was a perfect way to end October! As soon as I reload my iPod today, I will be starting the audio book Born a Crime by Trevor Noah. My son introduced me to both Noah's TV show and his stand-up comedy, so I've been wanting to read this one and have heard the audio, read by the author, is excellent. My favorite book podcast, Book Cougars, is doing a readalong this month, so I got a copy from my library - just in time for Nonfiction November! My husband, Ken, is still reading one of his birthday gifts from me, The Outsider by Stephen King. It's a suspenseful thriller that he's been looking forward to, and last night, he explained that since it is King, it's not just a thriller but has an element of the supernatural in it, too. Sounds great! Still not sure what Jamie, our 24-year old son, is reading now, after finishing book 3 in the Stormlight Archive by Brandon Sanderson, Oathbringer, but I will ask him when he comes home for lunch today. His girlfriend has a concussion and is on "brain rest" (something we know a lot about here), so I suspect he's been keeping her company with audiobooks. TV Tuesday: You - a romance with a dark underbelly - fun! Middle-Grade Review: The Creepy Case Files of Margo Maloo by Drew Weing - I loved this fun graphic novel! Hope you feel well enough to enjoy a visit with your Mom. The memoirs sound great, especially the one your massage therapist has written and you'll be able to discuss it with him! Had to cancel, Kathryn - still in bad shape. But that means more reading time! Thanks for the kind thoughts. I just started Born a Crime on audio this morning and it is already excellent! Just started it this morning and already really good! It seems I'm hearing about Born a Crime all over the place. I hope we get it on audiobook because it sounds like something I can listen to and savor while I work around the house. Can't wait to hear your thoughts! Have a great reading week, Sue! I just started it this morning, Shaye, and it is already very good - audio is best for this one because he reads it himself. I think you will find Born a Crime really interesting. I hear his narration is great. I just started What if it's us? a YA novel by two great authors. It is! I just started it, Helen. And I have heard great things about What If It's Us? That's Adam Silvera right? I really liked his last book. I loved reading through your updates! I just helped someone find Born a Crime at my library right before reading your post, lol! ha ha what a coincidence! Just started it & it;s already excellent esp on audio. Thanks for sharing Escaping Wars and Waves. I am really intrigued, and it wasn't on my radar!!! Such a powerful book, Ricki. I'm reviewing it this week for Shelf Awareness. I hope you feel better soon. You've got through a lot of reading! I didn't see the Mather connection! Wow! Now I really want to read it! I'm so glad you are reading Born a Crime!!!! It is BRILLIANT! The Mather book was really good - definitely fiction with real witches and a ghost but based on history, too. Hi Sue, I'm now looking forward to reading Flawed and Escaping Wars and Waves. Hope you are better soon! I received the Outsider as a review copy but haven't had a chance to read it yet. I am now feeling that I should read it soonest!